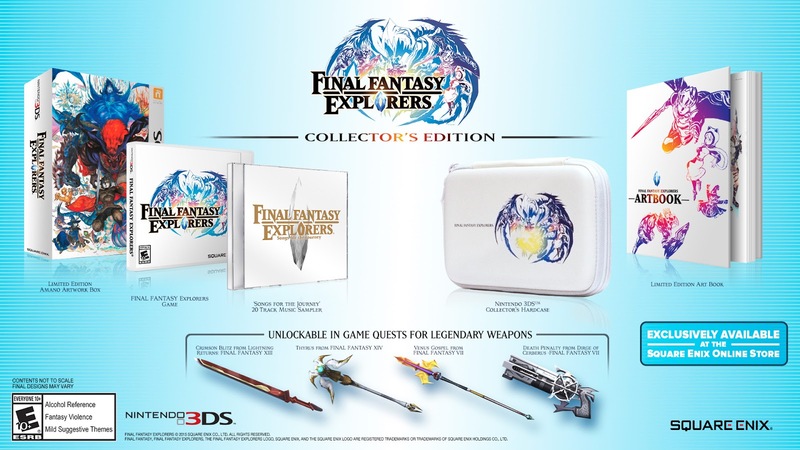 Final Fantasy Explorers gets a collectors edition.
" FINAL FANTASY EXPLORERS is a new action-role playing adventure game set for release on January 26, 2016. 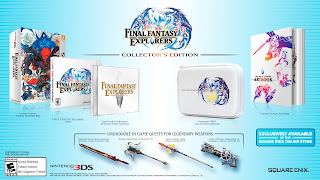 Either through solo play or with up to four Explorers, players can dive into dungeons to collect crystals scattered throughout the world while battling classic FINAL FANTASY enemies.